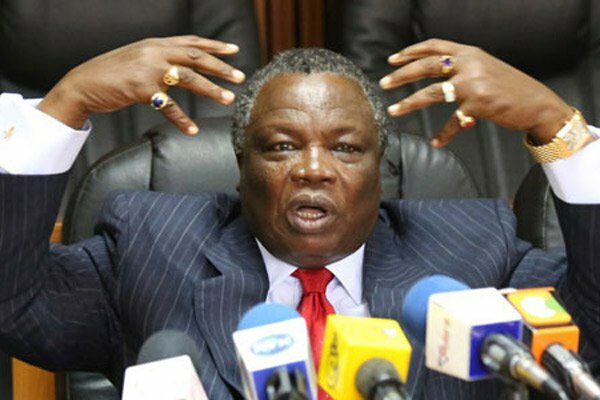 Wednesday April 17, 2019-A vocal political analyst has urged Central Organization of Trade Union (COTU) Secretary General, Francis Atwoli, to be careful with his tongue because some statements he is making in public functions may haunt him in future. Speaking in Lamu over the weekend, Atwoli poured cold water on Deputy President William Ruto's presidential bid for 2022, saying that he will not even be in the ballot, remarks that have irked the DP's allies. On Wednesday, Political analyst, Ambrose Weda, cautioned Atwoli that such alarming remarks might cost him in the future, at a time when Ruto's allies are linking the remarks to a possible assassination plot. "Thanks to his remarks, he would have to carry the burden of blame if anything happened to the DP now. It’s him people will go for if anything happens to him (Ruto), even if it happens at his Sugoi home," he said. Weda who doubles up as a High Court advocate was speaking on KBC English Service's The Big Conversation.